Goalless at the end of the ninety, yes; and don’t we all wish that we had not been profligate when the chances came. 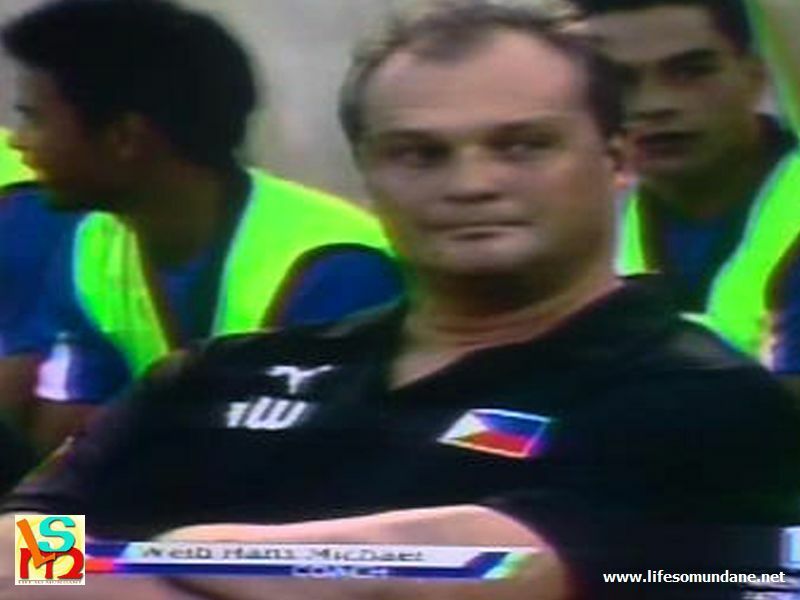 In light of the 38-point discrepancy in the latest FIFA rankings between the Philippines and Cambodia, yes, perhaps we could have – should have – handily pilfered a win in Phnom Penh. But to actually go there and have the utter cheek to look like the home team shows how far, indeed, we have come in international football. Let it not be forgotten, too, that this was a friendly; and that it is so much better that we were profligate in Phnom Penh than later when the Suzuki Cup is underway in Bangkok. Yet, how different the result could have been had the conditions been not so – uhrm – Third World. It is our turn to do a Rajagopal and whine about the state of the pitch. Perhaps, the distribution role could have been given to Paul Mulders. Indeed, in the second half, he showed what he could do with the ball when collecting it deeper in midfield. In the first half, however, he appeared to be deployed closer to Phil Younghusband; and he did not look particularly inspired playing that far up the pitch. For instance, Neil Etheridge, used as he is to the meticulously manicured English pitches, swung at an innocuous back-pass in the 62nd minute only to miskick the ball. The Cambodian striker who latched onto the loose ball was probably too surprised to consummate Etheridge’s embarrassment. Had a goal been conceded, it would have been as blatant as an injustice can get. 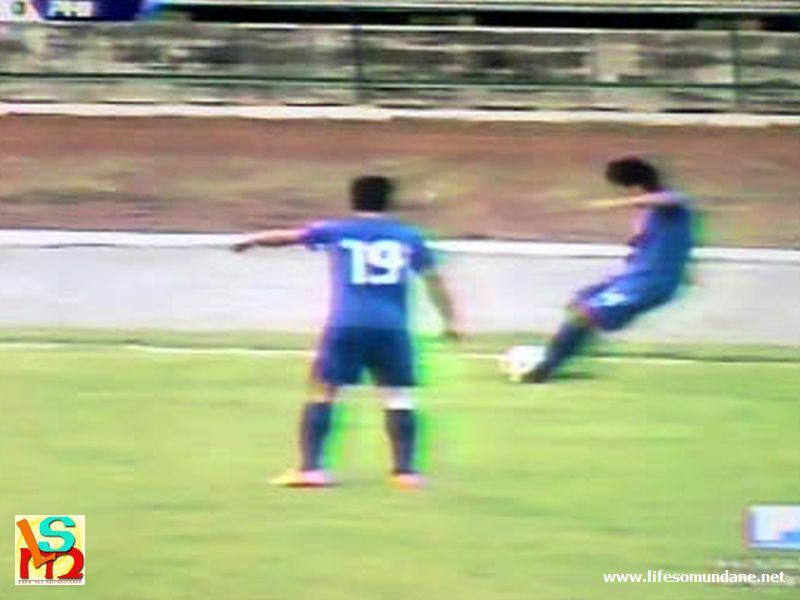 Not only did the Philippines create more numerous and dangerous chances, the team also dictated the play. That is, as much as the conditions permitted; and indeed, the first half was as scrappy as matches get in the lower tiers of the English league. While the result is ultimately somewhat frustrating, one novelty that fans of the Philippines should not overlook and instead begin to enjoy is the luxury of going through an entire 90 minutes without having to endure a racing of the pulse at the possibility of a goal being conceded. Yes, we were solid at the back. Although match statistics will show that Cambodia had the first shot at goal in the 8th minute, the truth of the matter was that it was an ambitious shot from midfield that was not unlike a slingshot aimed at the moon. Even when the Cambodians counterattacked and found spaces in midfield, the Philippine defence never looked – Etheridge’s miskick apart – like conceding a goal. Cambodia, of course, is not Thailand or Vietnam. That said, the way our players kept the team’s shape and worked hard to stifle Cambodia’s counters – particularly in the first half – should please Michael Weiss. The football, admittedly, was not pretty. We have lately gotten used to the Philippines moving the ball around the pitch comfortably. The pitch was a factor. Perhaps, so too was the way Weiss laid out the midfield. In patches, the Philippines was able to string passes together in tight spaces; but there was nobody in the Xavi Hernandez mould who could collect the ball from these tight spaces and swing the play to the other – and therefore open – side. Marwin Angeles and Jerry Lucena were excellent in protecting the back four; but neither is exactly what one would call a creative passer of the ball. Angeles, in particular, showed some deft touches when in possession; but was just as likely to give away a 10-yard pass. 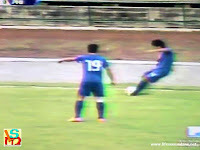 Still, one left-footed cross from Mulders found Phil Younghusband unmarked right in front of goal in the 12th minute. Younghusband’s first touch to set up the shot was immaculate; the shot itself not so. He should have scored. Eight minutes later, Younghusband snatched at a half-chance from a freekick delivered by Lucena from the right flank. The shot, which sailed over the crossbar, was admittedly not as forthright as the earlier miss. In the second half, the most clear-cut chances for the Philippines fell to Patrick Reichelt, who made space for himself right side of the box in the 87th minute only for what should have been the winning goal to rebound back into play from off the far post. Earlier in the 54th minute, Phil Younghusband sent Reichelt through on goal with the most delightful of passes only for the latter to suffer a what-do-I-do-now moment when in sight of goal. He opted to cross when a shot was the more obvious option. When the referee blew the final whistle, some of the Filipino players looked visibly distraught at having drawn a match that in all honesty could have been won rather handily. Yet, it must not be forgotten that, on the football field, FIFA rankings count for nothing and indeed, Cambodia was still the home team. Credit must also be given to the hosts, who defended resolutely and sometimes over-physically, abetted no doubt by some really dodgy officiating. Because this was a friendly, the Philippines was able to send in several substitutes without apparent loss of quality; and this can only be a good thing. Even the teenager OJ Porteria, who was such a bundle of energy in last year’s SEA Games, won a memorable first senior cap. In other words, despite the result being something of a letdown, the friendly would have served its purpose. After all, the truly serious business of football does not begin until November. Hopefully, the Philippines can go on another fairytale run similar to that historic performance in Vietnam two years ago.